Read a review of A Rainbow in My Pocket by blogger Jill Bennett. 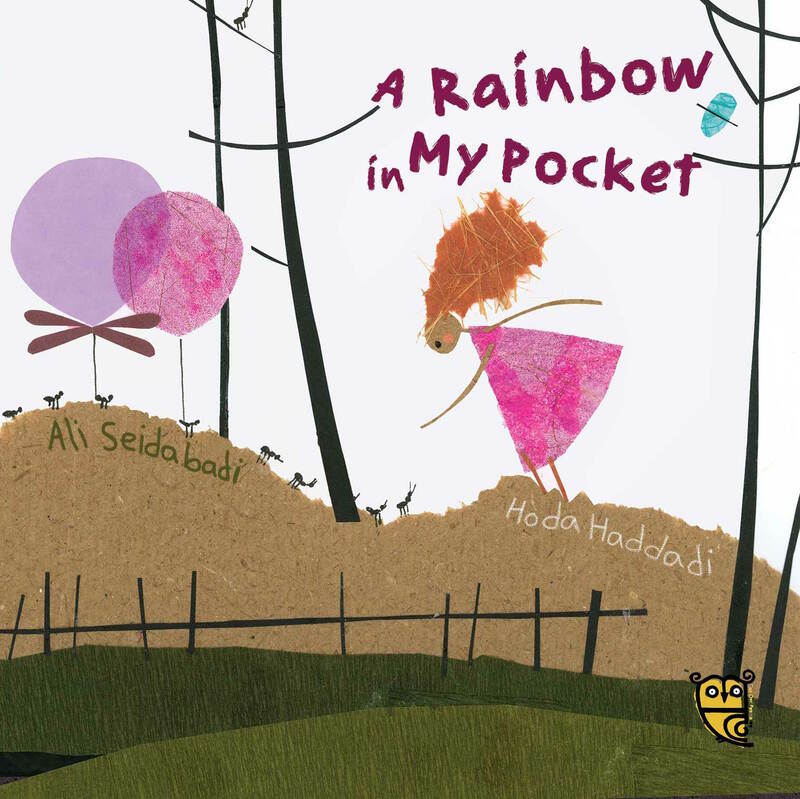 How can you put a rainbow in your pocket? 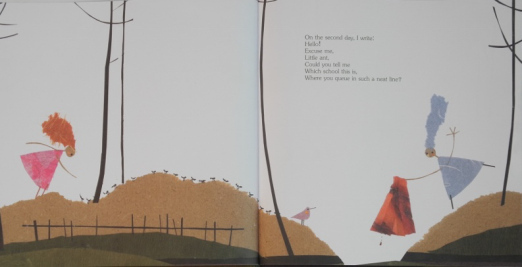 Seemingly the little child in this book has an answer to what sounds like a riddle and it’s one she shares with readers in her poetic outpourings – her musings, preoccupations and daydreams. 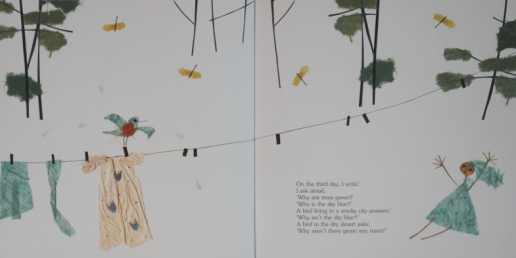 Those of us who work as teachers of young children are from our observations, well aware of that state of being transfixed by the moment, being in the here and now – the kind of contemplative state that the child in this book appears to be in as she observes that line of tiny ants at her feet. The enigmatic and introspective nature of the book is such that it seems to raise more questions than answers. It’s not in my opinion a whole class ‘storytime’ book but one for small group discussion or personal contemplation. to compose her collages, which decorate the white pages with simple, delicate images that have a child-like quality in tune with the narrative voice. Link to the main source: here.